If you’ve got a basement with windows or vents, odds are you either have a window well or need one. Without a secure window well, you run the risk of major property damage, as well as endangering yourself and your family. There are many signs you need a window well, and at Window Well Experts, we can show you how to recognize that need. Based in Delavan, WI, Window Well Experts offers local service in Wisconsin and Illinois, and ships wells across the U.S. And Canada. With more than 40 years of experience in the business, we’re known for our wide selection of window wells and covers, which we manufacture ourselves to high standards of quality, as well as our unsurpassed knowledge and customer service. If it turns out you do need a window well, you can get expert advice and a free price estimate by phone or email seven days a week. Is your basement flooding or collecting debris? The accumulation of water, snow, dirt or debris beneath your basement window is the kind of problem that needs to be fixed before, not after, it leads to serious damage. 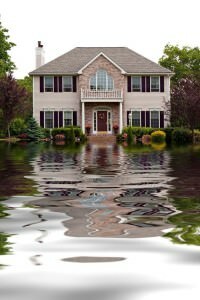 Water damage can affect the exterior of your house, your window frame, or the basement. Once mold or mildew have taken hold, they can be very difficult to eradicate. Fixing a flooded house or collapsed window area can take a long time and cost thousands of dollars in replacement materials and labor. By comparison, installing a window well and cover is much cheaper and easier. Is your existing window well damaged? A well that’s no longer leak-proof may be as bad as no well at all. If your well is rusting, or if it’s shifted away from your wall, water and dirt can still get in. Window Well Experts’ galvanized steel and composite wells are made of one seamless piece of waterproof material, preventing rust and leaks, and with pre-drilled holes for fastening to your home, they’re very easy to install correctly. Does your window well fit properly? Even if your window well isn’t damaged, that doesn’t mean it’s the right size or shape for your house. Because many home improvement stores only stock a small selection of window wells, a lot of houses have wells that aren’t quite the right size for the windows they surround. Even if they did fit initially, a building’s foundations can settle with time, requiring a new fit for your window wells. Window Well Experts offers a variety of well extensions to suit your home, no matter what shape it’s in. A new window well can be an inexpensive way to increase the value of your home. Because window wells prevent expensive damage and increase your family’s safety, they’re a desirable addition to any house with a basement. A window well also allows natural light into your basement, which saves on energy bills and beautifies the room. At Window Well Experts, we offer many ways to help your window wells work with your decor, including wells with stone look and white finishes, as well as reflective panels which let even more sunlight into the basement. Do your local building codes require an egress well? There are many signs you need a window well, but there’s at least one scenario in which not having one is actually illegal. Across the United States and Canada, building codes require a means of emergency escape from any basement room used as a bedroom. An egress window well, fitted with a ladder or steps to get out of the building, is a great way to fulfill these requirements. The specific requirements for egress wells vary from city to city, and your local building inspector can tell you about the laws in your town. Once you know what you need, Window Well Experts can help you out: we’ve got wells and accessories that comply with egress requirements across America and Canada.